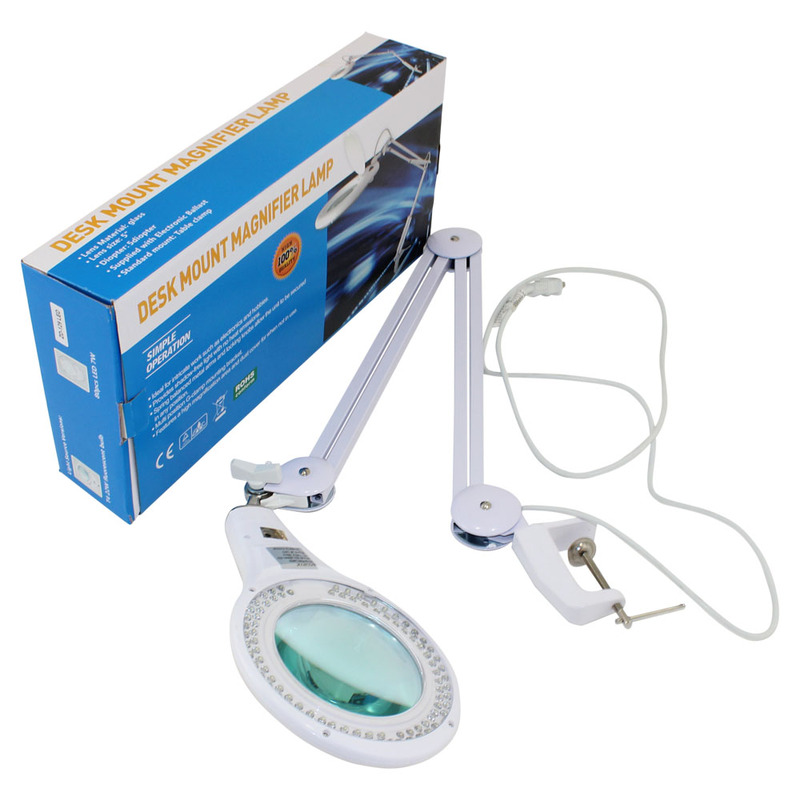 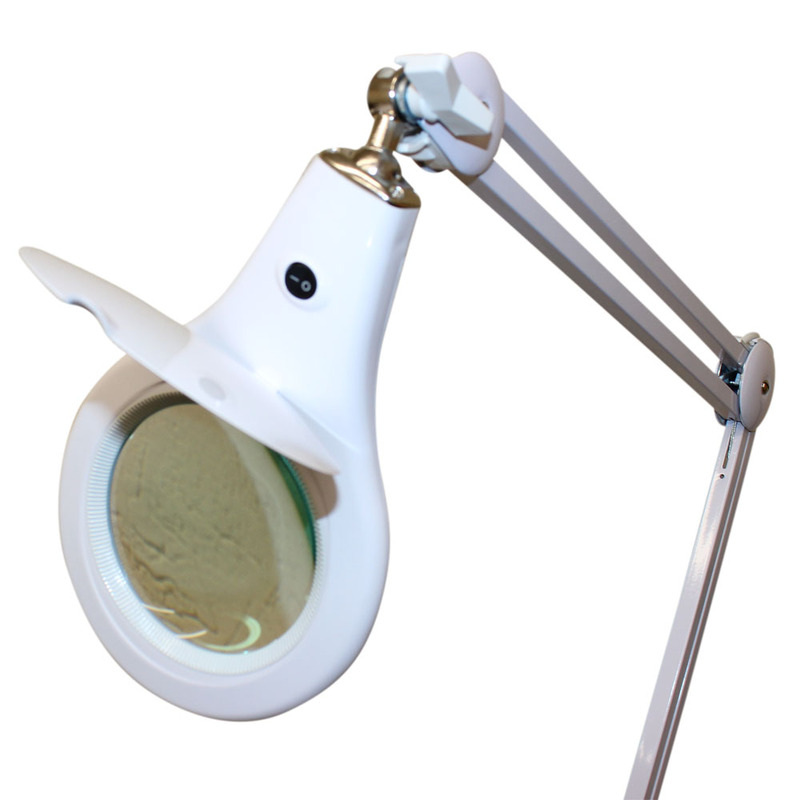 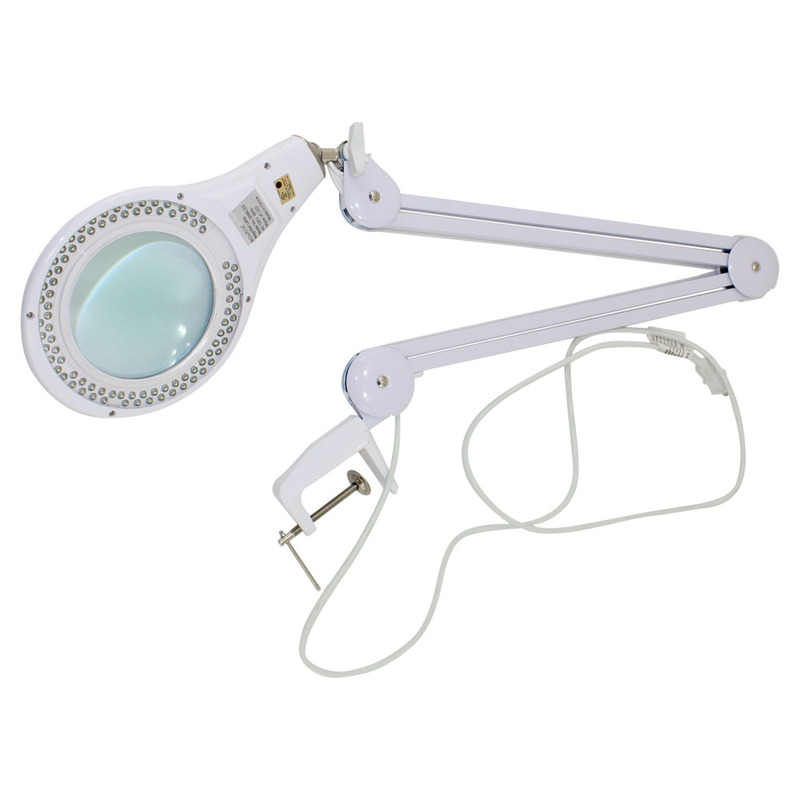 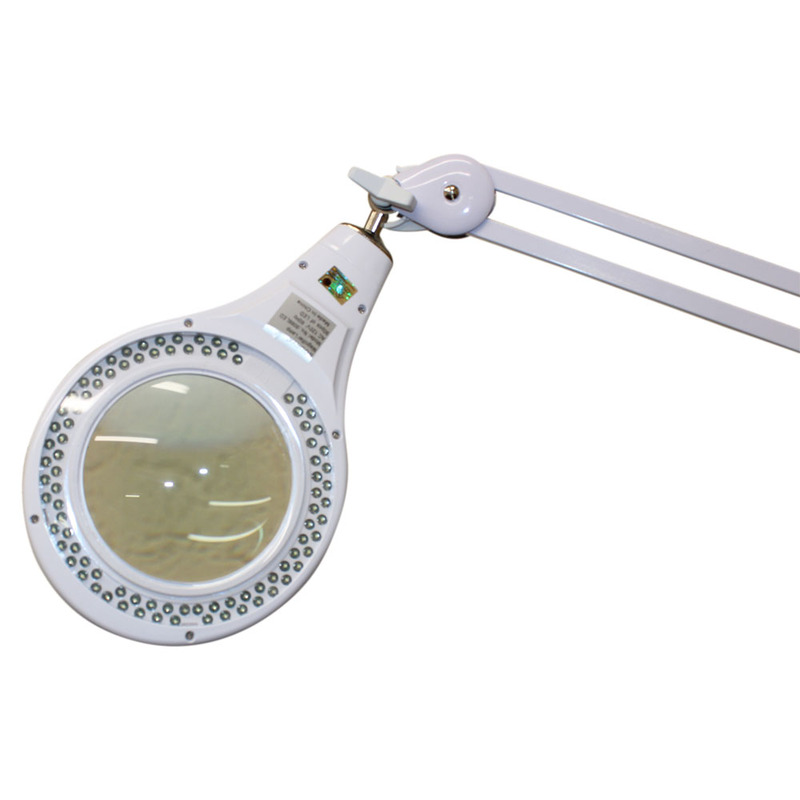 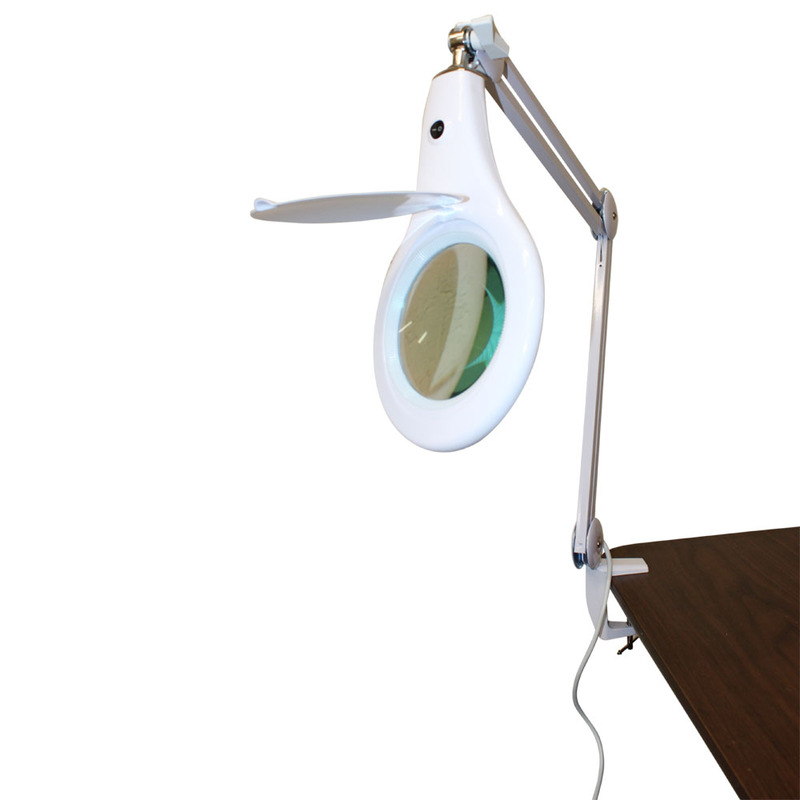 Comes with 90 LED's providing 7 watts of illumination surrounding a glass magnifier lens with 5 diopter magnification. 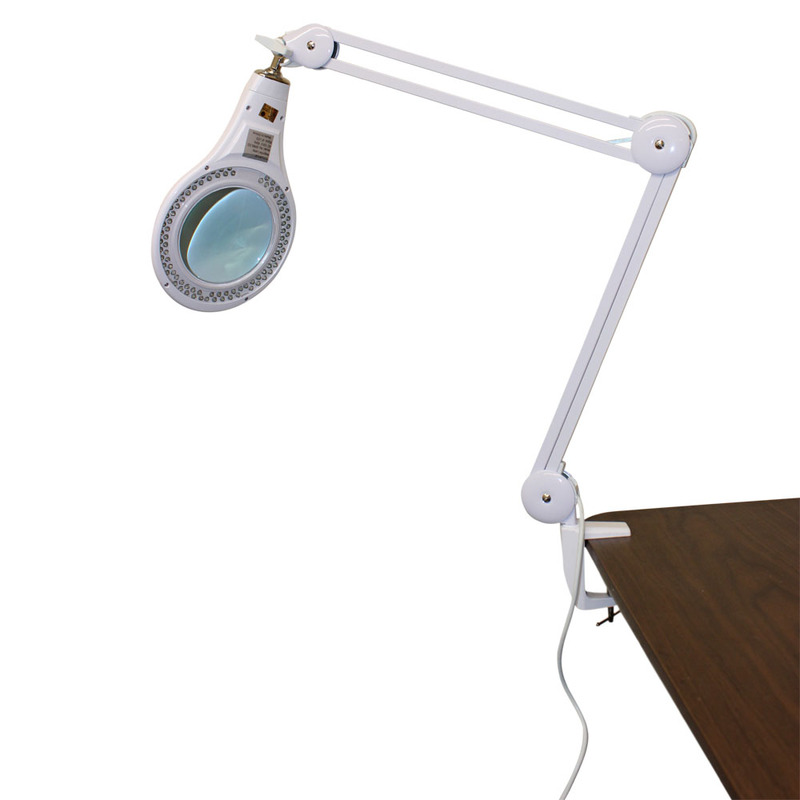 It has a base clamp and a 36 inch adjustable arm to position the magnifer where it is needed. 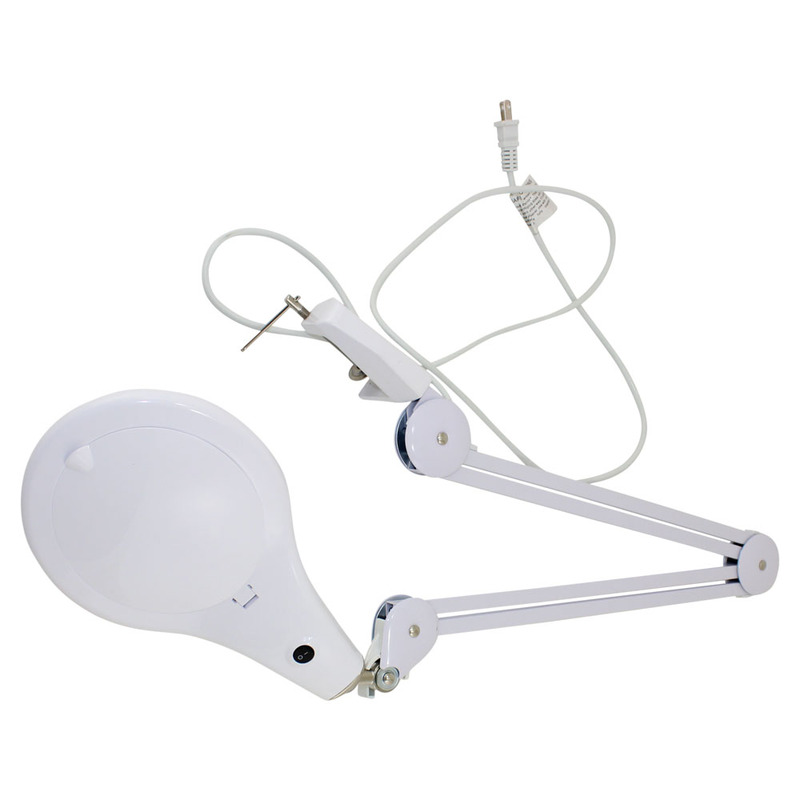 110V operation.